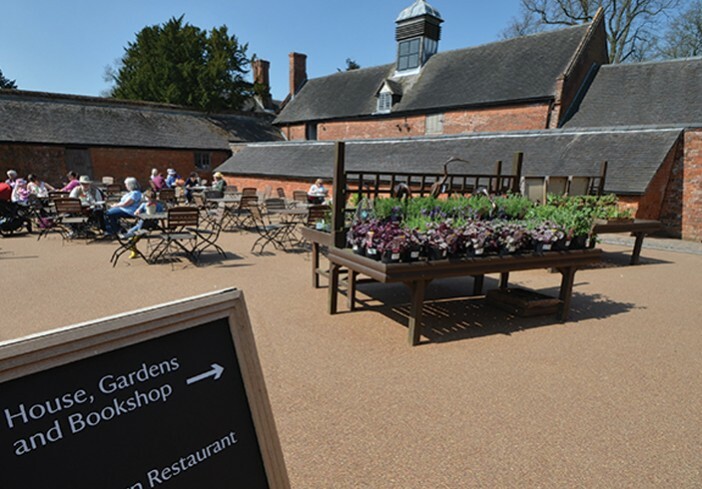 When the National Trust decided to renew paving for outdoor restaurant at Baddesley Clinton, the challenge was finding a durable surface that look authentic at this prestigious stately home. Clearstone’s resin bound was the perfect solution. The Barnyard of Baddesley Clinton is a sanctuary for thousands of visitors who walk the trails, peep into priest holes and imagine what it was like for the priests who sought sanctuary there in the 1590’s. Delighting in the diverse architecture of this Grade I listed building, visitors pull up a chair in the restaurant’s outdoor dining area and enjoy a bite to eat. 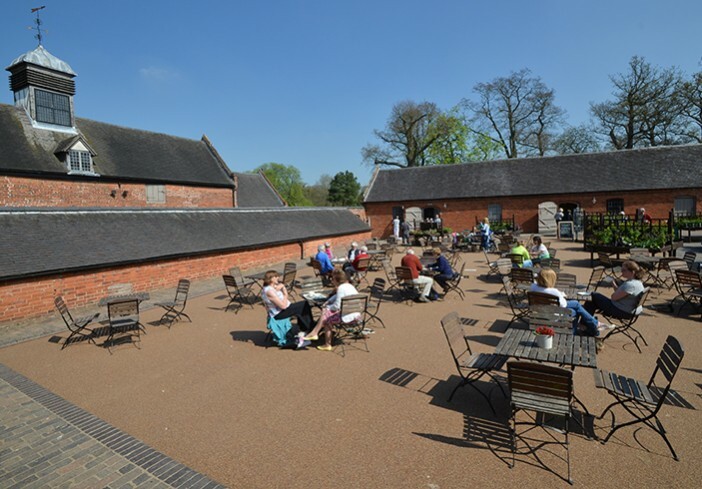 Unfortunately, the original paving in this tranquil courtyard has not withstood the moving and scraping of diners’ chairs: the surface that was meant to enhance the aged red brick of Baddesley Clinton’s Barnyard leading to the Barn restaurant and National Trust shop, looked unkempt. 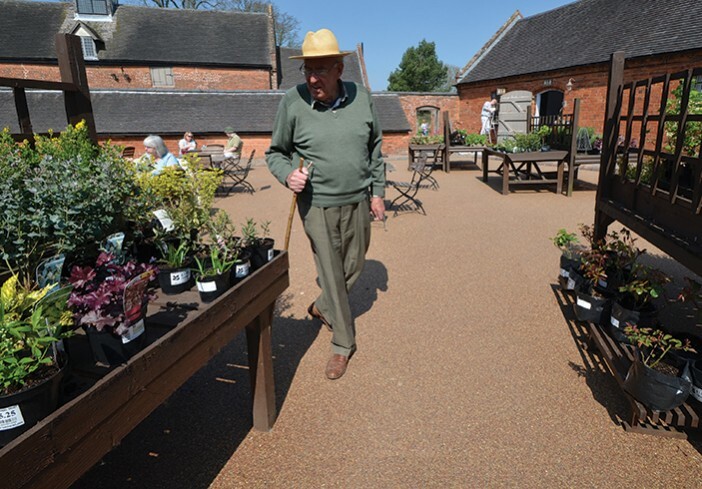 Baddesley Clinton needed a practical courtyard paving that could take the wear and tear of table and chair legs, wheelchairs, buggies and footfall. However, the paving also had to blend in beautifully with a building that started life in the 1500’s. The heritage home needed a modern solution with an authentic ancient look. And, due to the historical significance of this National Trust gem, Warwick Council’s conservation officer and the curators of the National Trust had to be sure the right choice was made. Clearstone installed resin-bound in Spiced Barley aggregate. 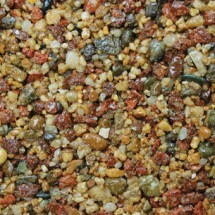 The porosity of resin bound means water drains through, returning to the water table. The paving is therefore not interrupted by a network of drainage systems. Resin bound is both practical and eco-friendly. Although durable, long lasting and fully permeable, resin bound looks as if it could have felt the footfalls of the Catholic priests hiding from persecution hundreds of years ago. What’s more, it’s quick to lay: ‘We installed 327m2 of resin bound in the Barnyard quadrant in one day and it was ready to use the next day,’ said Operations Manager Spencer Kennard. Not only did Clearstone’s resin bound take the Barnyard courtyard back to its former glory aesthetically, using the benefits of contemporary technology, the team worked without disturbing the running of the National Trust shop and restaurant – no inconvenience or loss of trade. Area: Installed area 327 m2, laid at a thickness of 18mm.